At the January 8, 2015 Regular Trustee Meeting, the Board of Trustees signed a contract with the Village of Richfield to provide complete police coverage to the residents in the Township. Dispatching is centrally located within the Village of Richfield Police Department. 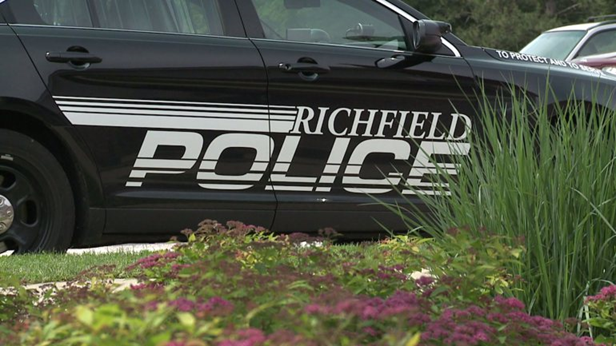 Police coverage in the Township and the Village of Richfield is three (3) officers on patrol per shift. Funding for the contract is by a police levy. The current levy is 4.7 mills and generates approximately $667,465.00 each year in revenue. The contract expires December 31, 2017 at midnight. The 2015 contract amount is $584,220.00 and the 2016 contract amount is $604,668.00 and the 2017 contract amount is $625,831.00. For the complete contract and agreement, please click here for Resolution #01-2015. Police Call Statistics for 2010: 11,469 Village of Richfield, 997 Township. The Township percentage of the total calls for the year is 9%. Police Call Statistics for 2011: 8,610 Village of Richfield, 1,081 Township. The Township percentage of the total calls for the year is 11%. Police Call Statistics for 2012: 9,094 Village of Richfield, 1,251 Township. The Township percentage of the total calls for the year is 14%. Police Call Statistics for 2013: 9,782 Village of Richfield, 1,550 Township. The Township percentage of the total calls for the year is 16%. Police Call Statistics for 2014: 6,138 Village of Richfield, 2,410 Township. The Township percentage of the total calls for the year is 20%. Police Call Statistics for 2015: 12,465 Village of Richfield, 2110 Township. The Township percentage of the total calls for the year is 14%. To follow the Township's 2016 current monthly and year to date police statistics, you can click on the link to view the Richfield Township Police Call Tracking Report. In April 2002, the police force moved into a 10,000 sq. ft. state-of-the-art police station with expanded jail facilities and a secured evidence room. The police department is also involved in a number of “Community Policing Programs.” They are: Safety Town, D.A.R.E., Shop with a Cop, Amber Alerts, and Senior Programs. As a service to the community a Township homeowner may file a request to have their home and property checked regularly or while they are out of town. Please call (330) 659-9500 for more information. To obtain police alerts, please call the Police Department to register your smart phone. Follow the police on twitter: Twitter@richfieldpolice or Facebook: Richfield Police Department. Register for Reverse Alert (Reverse Alert supports business and residential, telephone landlines, cellular, TTY/TDD, Email and Texting). This is a service that is capable of warning citiznes of severe threats to health and safety. Revere Alert is a unique component to the County of Summit emergency Notification and Warning System. For more information and to register, visit: www.reversealert.net. To Learn More About the Village of Richfield Police Department, click here. The Police Department can be found under "Administration." Firearm regulation is under the jurisdiction of the Ohio Revised Code, §2923. This section runs from §2923.11 to §2923.24 and listed below the general regulations and definitions. Residents are encouraged to call the Police Department on 330-659-9500 or peruse the ORC by clicking on this link. Please note that the Ohio Revised Codes are routinely changed and the information contained below may not be current. ALWAYS contact the Police Department or click on this link for the most up to date information. (B)(1) “Firearm” means any deadly weapon capable of expelling or propelling one or more projectiles by the action of an explosive or combustible propellant. “Firearm” includes an unloaded firearm, and any firearm that is inoperable but that can readily be rendered operable. (6) Any device that is expressly excepted from the definition of a destructive device pursuant to the “Gun Control Act of 1968,” 82 Stat. 1213, 18 U.S.C. 921(a)(4), as amended, and regulations issued under that act. The following is general information for deer hunters. It is strongly recommended that if you are considering hunting, link to the following for the latest and most up to date information. http://www.conwaygreene.com/summit.htm (Summit County Ordinance) Click on the preceding link, enter "Start" and then do a quick search with the keyword: hunting and then go to section 505.14. Section 505.14 is shown below for your convenience. 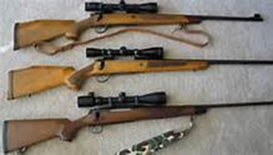 (a) No person shall hunt, kill or attempt to kill any animal or fowl by the use of firearms, boe and arrow, air rifle or any other means within one hundred (100) yard of any inhabited dwelling. Avoid Problems and Be Prepared! Get the landowner's permission to hunt. Buy your annual hunting licences and deer permit early. Make sure your gun is plugged and not capable of holding more thant three (3) shells. Make sure you meet hunter orange requirements. Know how to attach your temporary tag. Carry a piece of string, watch, and pencil or pen. Know the rules for use of communication devices. Know the season dates, hours, and Deer Zones. Follow proper check station procedures. After hunting, check carefully for small, dark crawling or attached ticks and remove immediately. Aid of assist another hunter who is hunting deer if the temporary tag has been removed from their deer permit, he or she does not carry any hunting implement commonly used to kill wild animals, and has a valid hunting license. Those persons exempted from having a hunting license and deer permits for deer hunting on their property are required to have a hunting license and deer permit to aid another hunter off of their property or hunt deer off of their property. Use cetain handguns during the youth deer gun season and deer gun season. These handguns must: (a) have a barrel length of not less than 5-inches, (b) use straight-walled cartridges (no shoulder/neck; straight-tapered wall is acceptable) and (c) be a .357 caliber or larger. Leave a deer or deer parts with a taxidermist, fur buyer, cold storage, locker plant, or meat processing plant as long as a tag or seal is attached to it that lists the owner's name and address and the date and place where the deer was killed. Persons receiving deer from another person must keep records with the owner's name and address, the date, the time, and the place where the deer was legally taken and the date it was received. Take more than one deer per day as long as each deer has been tagged with a temporary tag before hunting for the next deer. Hunt deer over bait except on public land. Possess a communication device as long as you do not use the device to aid a person in pursuing or taking of deer. 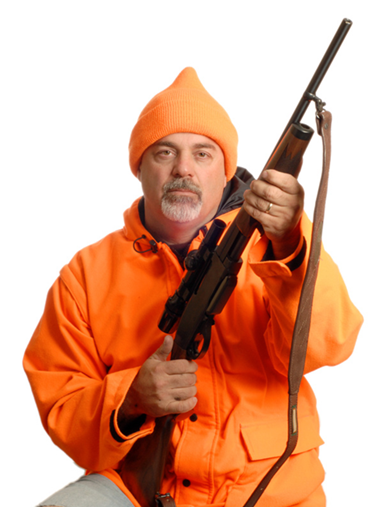 Hunt coyote and wild boar during the deer gun season and statewide muzzleloader deer season with a hunting lilcense and a valid deer permit, using firearms legal for deer hunting while visibly wearing a vest, coat, jacket or coverall colored solid hunter orange or camouflage hunter orange. A vaild deer permit is a deer permit, with temporary tag attached, and valid for the zone or unit being hunted. Use a leashed dog to recover wounded deer. Deer archery hunt during the youth deer gun season, if the archery hunter is not accompanying a hunter participating in the youth deer gun season and is wearing hunter orange (See Youth Deer Gun Season). Concealed Carry: A person possessing a valid Concealed Carry License may carry their concealed weapon while hunting, but it may NOT be used to shoot, shoot at, or kill any wild animal. For more information go to ag.state.oh.us. 1533.03 Prevention of authorized hunting, trapping, or fishing prohibited. Section A: No person shall purposely prevent or attempt to prevent any person from hunting, trapping, of fishing for a wild animal as authorized by this chapter by any of the following means: (1) Placing oneself in a location in which he knows or should know that his presence may affect the behavior of the wild animal being hunted, trapped, or fished for or otherwise affect the feasibility of the taking of the wild animal by the hunter, trapper, or fisherman; (2) Creating a visual, aural, olfactory, or physical stimulus intended to affect the behavior of the wild animal being hunted, trapped or fished for: (3) Affecting the condition or location of personal property intended for use in the hunting, trapping or fishing activity. Section B: No person shall fail to obey the order of a peace officer or wildlife officer to desist from conduct that violates division (A) of this section. (Shown above. Section C: This section applies only to acts committed on lands or waters upon which hunting, trapping, or fishing activity may lawfully occur. This section does not apply to acts of a peace officer, the owner of the landes or waters, or a tenant or other person acting under authority of the owner on the lands or waters. Section D: Upon petition by a person who is or reasonably may be affected by conduct that violates or will violate division (A) of this section and a showing by that person that the conduct has occurred in a particular place and may reasonably be expected to occur in or near that place again, a court of common pleas may enjoin the conduct in accordance with Civil Rule. Section E: As used in this section, "peace officer" has the same meaning as in section 2935.01 of the Revised Code, and "wildlife officer" has the same meaning as in section 1531.13 of the Revised Code. 1533.031 Prevention of hunting creating noise prohibited. Section A: No person shall purposely prevent or attempt to prevent any person from hunting a wild animal as authorized by this chaper by creating noise or loud sounds through the use of implements when the use of the implements is intended primarily to affect the behavior of the wild animal being hunted, when the hunting is taking place on lands or waters upon which the hunting activity may lawfully occur, and when the noise or loud sounds are created on lands or waters other than the lands or waters upon which the hunting acitvity may lawfully offuc. "Implements" does not include items being used in the due course of farming, foresty, or commercial practices. Section B: Upon petition by a person who is or reasonably may be affected by conduct that violates or will violate division (A) of this section and a showing by that person that the conduct has occurred in a particular place and may reasonable be expected to occur in or near that place again, a court of common please may enjoin the conduct in accordance with Civil Rule.